Burberry has partnered with Elton John to release a limited edition vinyl LP box set of six of his classic albums. The albums are also being sold individually. The 180-gram, 12-inch vinyl LPs include all the original artwork and sleeve notes. The albums were remastered from the original tapes by legendary engineer Bob Ludwig, and the vinyl cut at the renowned Abbey Road Studios in London. 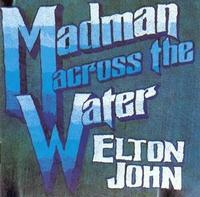 Released in 1971, and selected for this box set by Elton as one of his "favourite albums of all time", Madman Across The Water includes his classics "Tiny Dancer" and "Levon" as well as the epic "Indian Sunset" — a centerpiece of his current Million Dollar Piano concerts in Las Vegas. I have all of the original copies is the first 6 records. This is very very good. Well done. This remaster is fabulous. Dead quiet, very natural tonality, impactful.